By our third day in London (and 7th day of the trip) we were tired and were in need of a relaxing day (well, we tried to have a relaxing day anyway). We slept in a bit and then headed straight to the Tower of London and the Tower Bridge (not to be confused with the London Bridge). 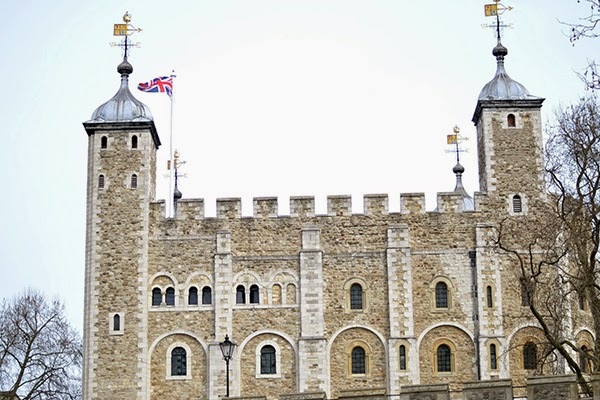 I highly recommend taking one of the Beefeater’s tours of the Tower. Yes, that is their name. 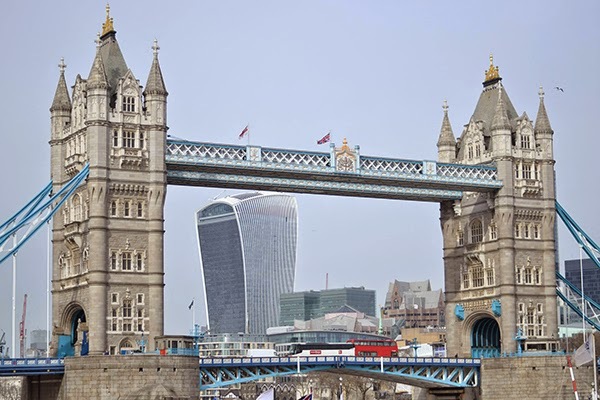 They are the folks still in charge of protecting the crown jewels and the tower (which is more of the historical royal palace of London, established by William the Conqueror) and historically, were the only men given beef to eat. This signified their status and is how they got their name. 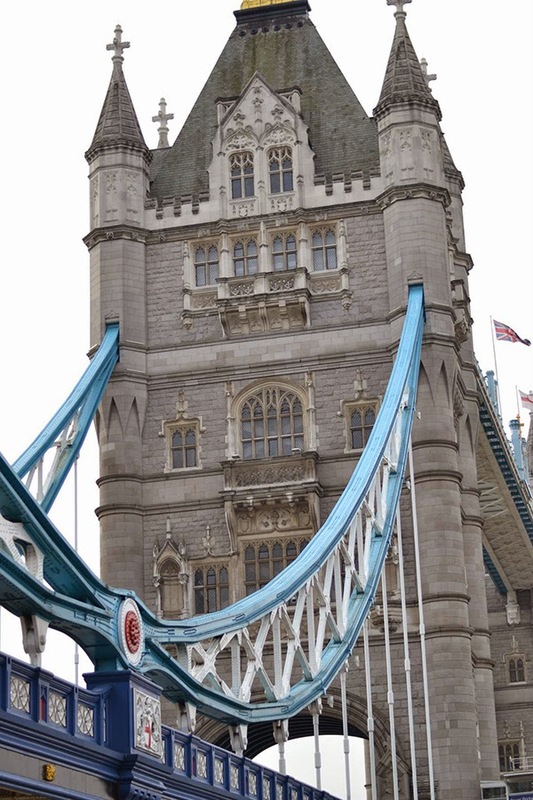 After the Tower we headed to London’s most famous bridge, the Tower Bridge. 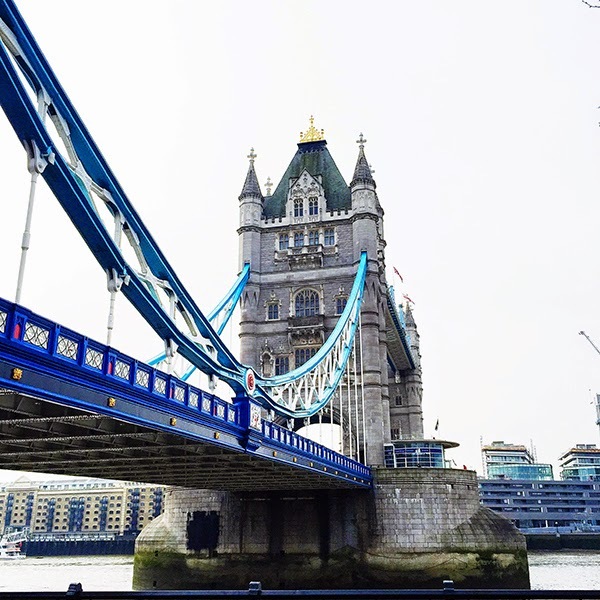 It was a chilly and overcast day, but it was worth it to snap some pics with one of London’s most iconic sights. 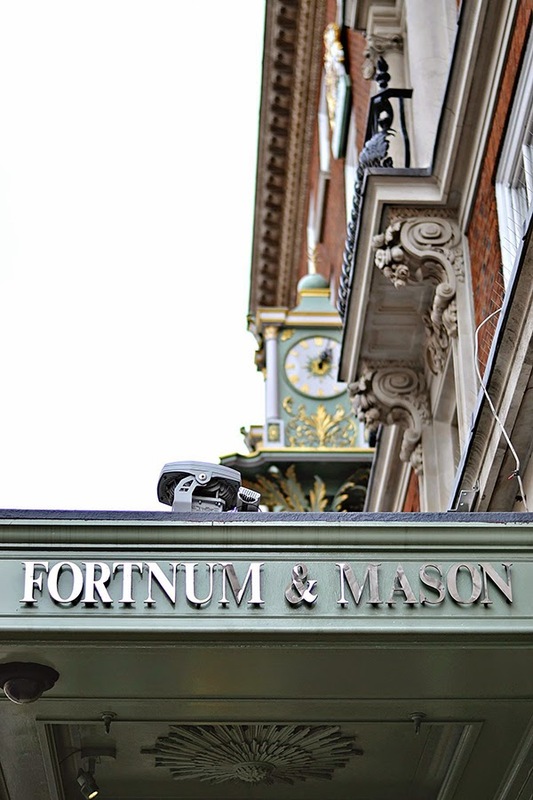 After doing our tourist do diligence, I took Nicole to Fortnum & Mason, which is one of my favorite shops in London (I have also done afternoon tea there, which is lovely… and don’t let the name fool you, afternoon tea is a lot of food!). We sampled chocolates and purchased lots of tea and truffles. To walk everything off, we stopped by Buckingham Palace to say a quick hello to the Queen and mock some guards (did you know it used to take one bear to make each of those ridiculous hats!). Since I had already done tea at Fortnum & Mason, we decided to try the afternoon tea at the hip and funky Sketch. 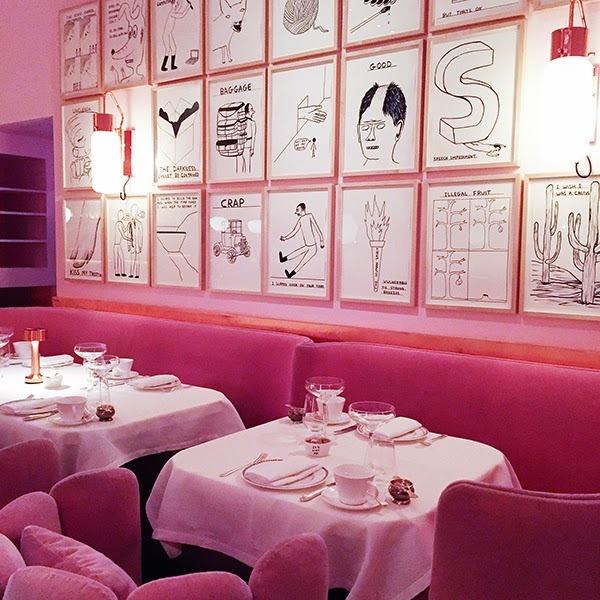 The best part is that the Sketch tearoom is entirely pink! 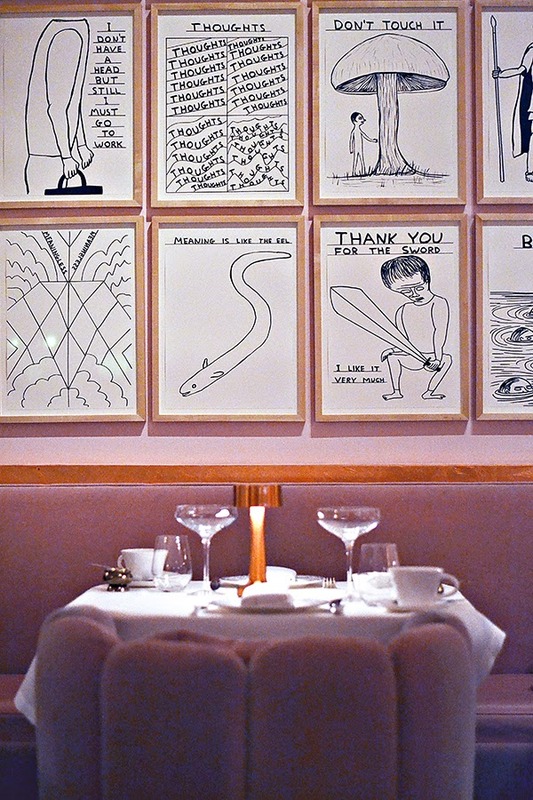 Not only was everything from the walls, to the linens, to the furniture pink, the walls were covered with cheeky illustrations, and don’t even get me started on the bathrooms. They were individual egg-shaped pods! The food was creative and delicious and the tea was excellent as well. I highly recommend it. It was truly an unforgettable experience (make sure to reserve online). After tea, we decided to rest a bit in the hotel, not before checking out another famous London store – Harrods. We did some serious window shopping (and dreaming) before going back to the hotel to freshen up for our big evening out. That evening we headed just west of London to meet some old friends for a pub-crawl in their neck of the woods. Did you know that lots of bars in London have prosecco on tap? Highlight of my trip… just kidding, kind of. I really wanted to make it to Portobello Road, but sadly we just didn’t have enough time. And the following morning we left for Dublin! You can read more about my adventures in London here and here, and my adventures in Paris here, here, and here. Stay tuned for Ireland! Gorgeous photos! I adore your coat and am simply envious of your London travels! Great shots! 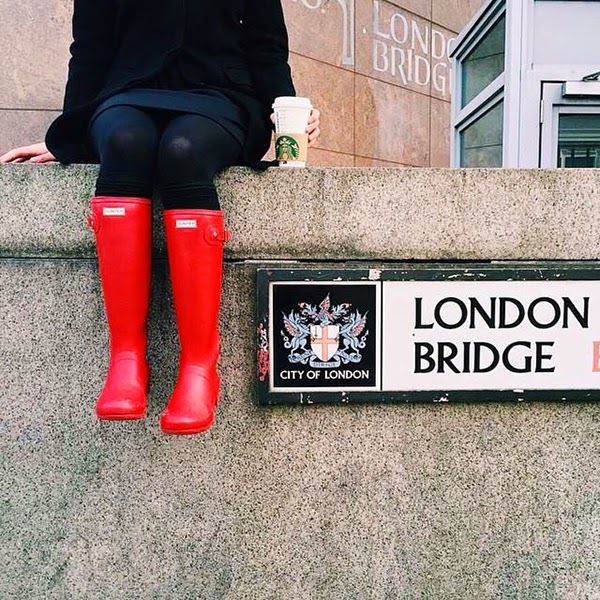 I really like the one of the London Bridge sign and your Hunter boots. So fun to follow your travels, I always have the worst case of wanderlust after reading your posts!! I love that part of your days always revolves around "tea" or "coffee breaks", so much fun! You always have the best travel photos! My wanderlust always increases when I read your posts; they're great! That was actually Nicole in the shot, but it's my favorite of the day too. You mean everyone's day doesn't revolve around this? What a whirlwind trip to London!! You saw the "biggies" and had fun doing it. Looking forward to seeing some pics of Dublin!